Beginning in October of 2018, HMR Training will now be offered online. Training in HMR is open to both professionals and non-professionals alike: parents, students, educators, therapists, body-workers, healthcare professionals, physicians, nurses, counselors, psychotherapists, and all interested in personal growth and advancement. 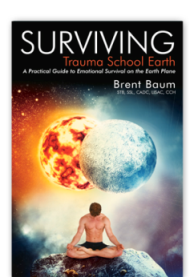 The three formal levels of training correspond to the three levels of trauma and memory imprinting on the “Trauma Continuum” (See multi-page introduction to the site to view the Continuum.) Level 1 and 2 have been routinely combined because we often experience both – sometimes in a single day. (There is an optional exam at the end of Level 2 should you wish to proceed toward certification in HMR.) Level 3 reflects the more complex imprinting and impact of repeated, severe, and complex trauma. Training at Level 3 focuses on providing a broad range of resources for addressing the extreme end of the trauma continuum. Because HMR is a “client-centered, body-centered” approach to empower individuals to heal from within themselves, working primarily with memory-based pain and pathology, certain biochemical imbalances and physiological conditions and illnesses are beyond the scope of this training. However, the effective resolution of trauma always supports our immune systems and recovery (Hans Selye, 1936); therefore, it is always of great value that we reduce our overall “trauma load” in the bodymind. HMR does not and cannot replace requisite medical care for certain conditions and for the permanent damage left from leaving trauma untreated overlong, but there is great hope when our pain, upon proper investigation and mapping, reveals memory-based origins or influences! Proficiency at this we are now acquiring as you will see from the training videos. HMR Memory Mapping Software: This software, developed in observation of over one hundred thousand memories, enables the complex mapping and recording of HMR and memory-based pathology. It permits internet, wireless, secure HIPPA-compliant data recording of sessions, enabling research analysis of patterns and events contributing to pain and illness. Now Available for Certified HMR Practitioners, current/updated in their training! Please contact Brent Baum for more information. Many pain conditions are exacerbated or generated by stress and trauma. By empowering the bodymind to reveal and address the memory-based origins of these conditions, the painful symptoms of stress and trauma, as evidenced by migraines, chronic pain, fibromyalgia, etc. can often be diminished or resolved. RESEARCH, EDUCATION, AND DELIVERY: Michael's Gift is founded on a vision of personal healing and transformation that creates the foundation for true global change. This vision is reflected in our threefold mission: research, education, and delivery of cutting edge trauma resolution therapy. Michael's Gift is a 501(c)3 Charitable Organization. Help to support Michael's Gift by using AmazonSmile and choosing Michael's Gift as your charity. Amazon donates 0.5% of the purchase price from any of your eligible AmazonSmile purchases. For more information, please use this Link.